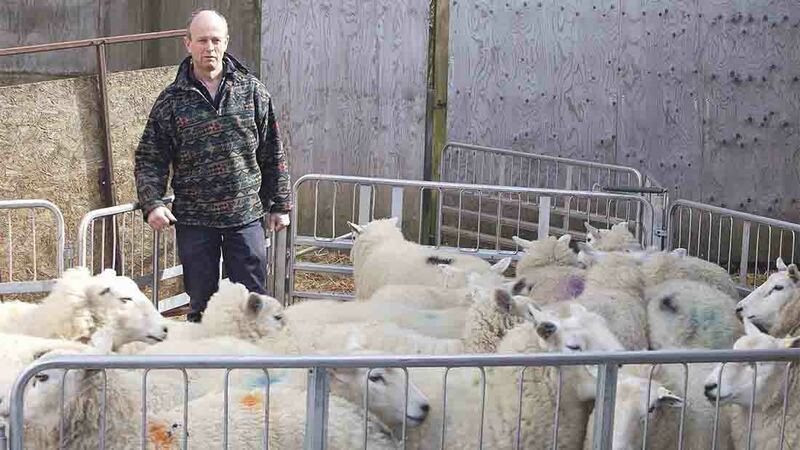 Rapid de-stocking of both cull ewes and store lambs is underway at Chawton Park Farm, near Alton, Hampshire, as Ian Robertson looks to conserve grazing in preparation for managing the flock of 1,400 Lleyn breeding ewes through autumn and winter. The aim is to prioritise grazing to ensure ewes regain body condition before going back to the tups. Ewes will be condition scored once lambs have been weaned and those below score 3 will be given priority. “On the home farm using rotational grazing we do a leader follower system, with daily moves. The leader group will be the ewes below score 3 and they will have an area large enough to allow them to graze down to 1,500kg DM/ha. The following group will be the fit ewes who will have an allocation of around 1.5 per cent of body weight (0.9kg DM) which should be enough to maintain their condition through to tupping. In order to keep the ewes out through winter the aim is to have covers of about 1,500kg DM/ha at the end of December. Preparation now in late summer will play a determining hand in achieving this goal. Mr Robertson's farm is one of six commercial farms taking part in the RamCompare project looking at including lamb performance data both on farm and from abattoir reports to improve genetic evaluation of terminal sires, and he has received the four tups needed for this winter. Although it can be difficult to accept we are fast heading towards autumn, Mr Robertson’s approach to dealing with the change in seasons should be praised, according to AHDB Beef and Lamb’s Liz Genever. She says: “At this point in the year it is important to focus on the amount of grass cover which is on-farm. For forage-based sheep systems, there can be a conflict between finishing lambs and preparing ewes for tupping. Mr Robertson is dealing with this by selling stores and cull ewes; other options including moving stock onto forage crops. Ms Genever says: “Some producers are establishing their own targets for the percentage of lambs which need to be sold by tupping. Mr Robertson has established cover targets, which are based on knowledge of his stock’s requirements and his previous experience. All farms could establish their own targets, according to Ms Genever. “These could range from 1,500-2,000kg DM per ha, as it will depend on stocking rate, supplements provided and housing dates,” she says.